Pancreatic cancer is often one of the hardest types of malignancies to treat. Unlike some other forms of the disease, the signs and symptoms are often subtle, meaning that the person is usually in the latter stages when diagnosed. This is why the prognosis may often be grim, especially if the patient has been diagnosed with stage four, the final stage. In numerous scenarios the tumor(s) are found while screening for another disease or condition. There are several potential causes of pancreatic cancer, including a strong familial tendency. However, some of the potential causes are related to lifestyle and behavior, such as smoking. Other factors can include having diabetes for some time, especially if it is poorly controlled. Those that suffer from certain conditions or diseases are also more likely to have this specific malignancy, many of these also being hereditary. The stages vary from zero to four. Stage zero implies that the precancerous cells are actually confined to the pancreatic lining. They are not yet malignant. In the first stage the cancer is present only in the pancreas. Stage two is when the cancerous cells have spread into surrounding tissue, organs or lymph nodes. These classifications are broken up into other divisions according to location. Involvement of major blood vessels and lymph nodes is common during the third stage of pancreatic cancer. It is during the fourth stage that the disease has usually spread to various organs and lymph nodes though. Life expectancy of any type of cancer is based on the staging and treatment. Those with the best prognosis are individuals who have been diagnosed early and have undergone aggressive treatment. Since most cases aren’t found early, the five-year survival rate hovers below ten percent. This is especially so for those with stage four. Once diagnosed with stage four pancreatic cancers, treatment often becomes palliative. Routine screenings for this type of malignancy is usually reserved for those that have undergone successful treatment and consists of simple blood tests to check for tumor markers. Although there is not a one hundred percent method to prevent developing this disease, the risks can still be decreased. Statistics indicate that those who eat healthy, exercise on a regular basis and avoid smoking can significantly decrease these risks. Other preventative measures also include managing diabetes and seeking treatment for chronic pancreatitis. 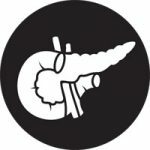 Next Article What causes Pancreatic Cancer in Humans?